This orange-colored oil smells powdery and feels slightly greasy. It hydrates extra-dry skin and makes acne scars and stretch marks less noticeable. Apply it before bed, as this oil takes a while to absorb. 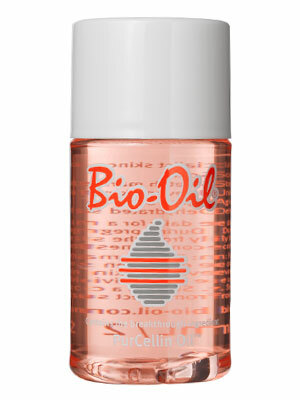 And if you’re prone to breakouts, apply only a dab, rubbing the oil between your hands and gently patting the skin.